A new holiday has been proclaimed in the United States following Wayne Rooney's move to D.C. United from Everton. The 32-year-old was officially announced on Monday as the newest member and biggest signing in the 24-year history of the MLS outfit. 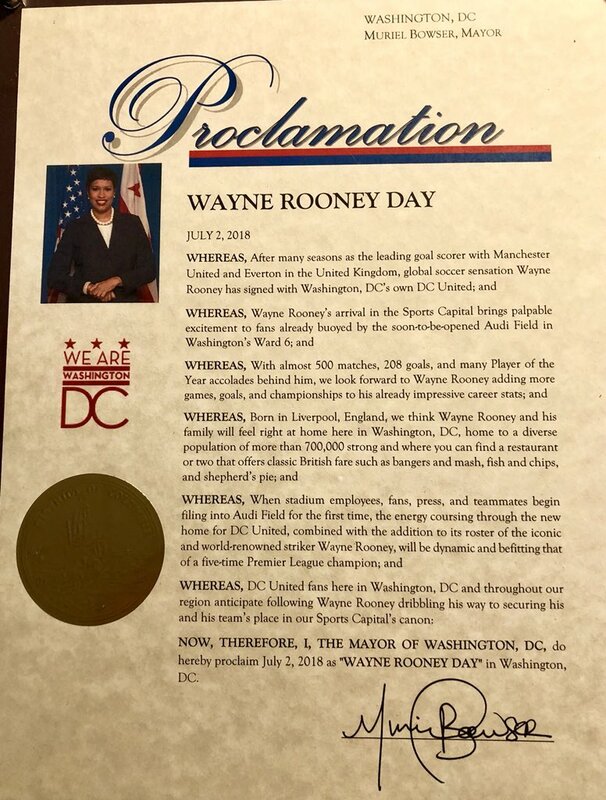 His arrival has been greeted with a degree of fanfare with mayor of Washington DC, Muriel Bowser, officially declaring a new holiday called "Wayne Rooney Day". Rooney's new career will officially begin on July 14 when the MLS side open their new stadium with a game against Vancouver Whitecaps.